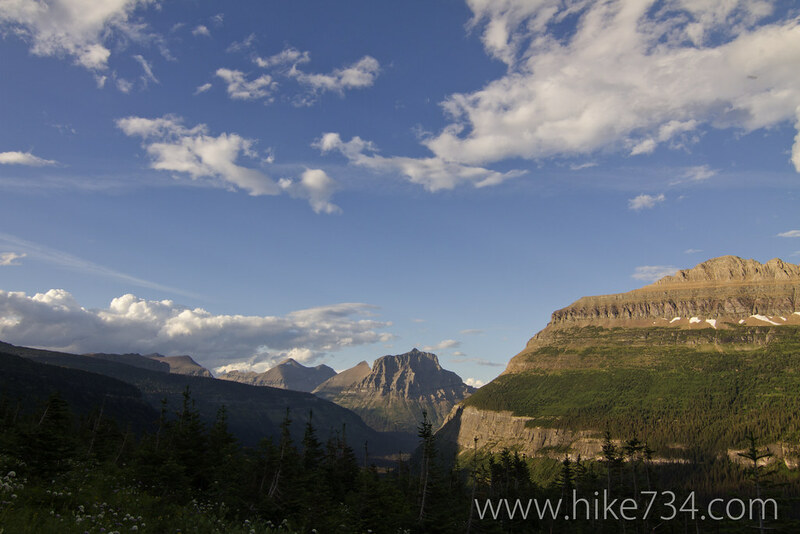 The trail from Jackson Glacier Overlook in the St. Mary Valley over the Continental Divide at Gunsight Pass to Lake McDonald Lodge offers an amazing trip with a bunch of extras including Sperry Glacier, Sperry Chalet, Lake Ellen Wilson and Florence Falls. 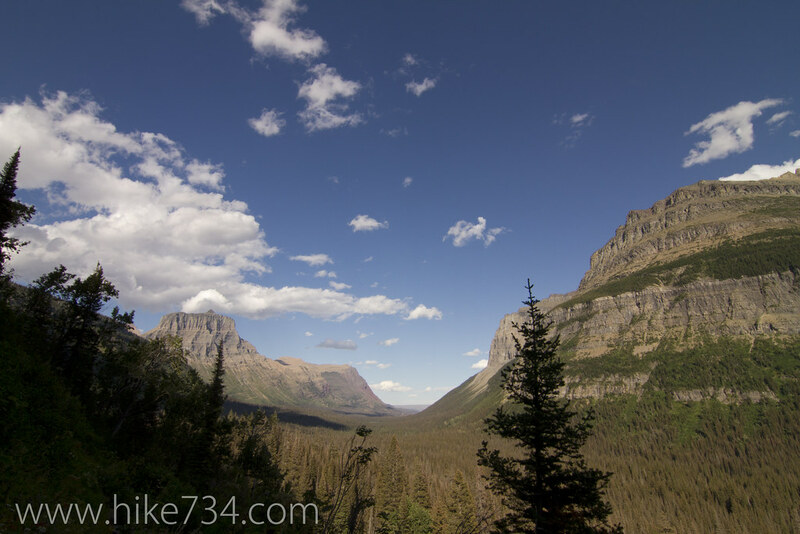 I got a bit of a late start after taking the shuttle service up and over Logan Pass down to the Jackson Glacier Overlook which added an urgency to my trip. I still was able to get everything checked off, but a bit was in the dark. 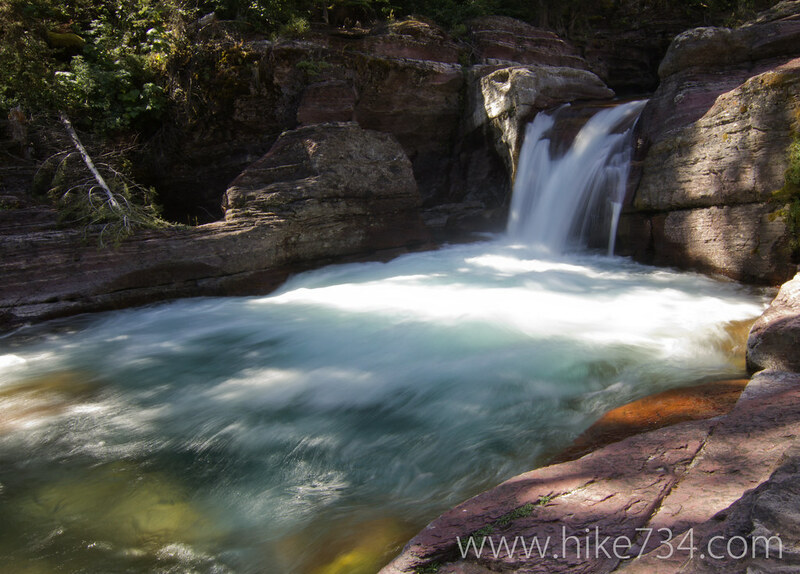 After walking for a few miles in the trees, with a couple of bridged creek crossings and little views of mountains at such places as Mirror Pond, you’ll come to a junction with the Florence Falls trail. These falls are breathtaking and would be worth the trip in and of themselves if you’re looking for a 9 mile day hike. You can see these falls from miles away and when you stand at the base of them, they generate their own wind and are impressive, even though you’re only looking at the lower section of the falls. 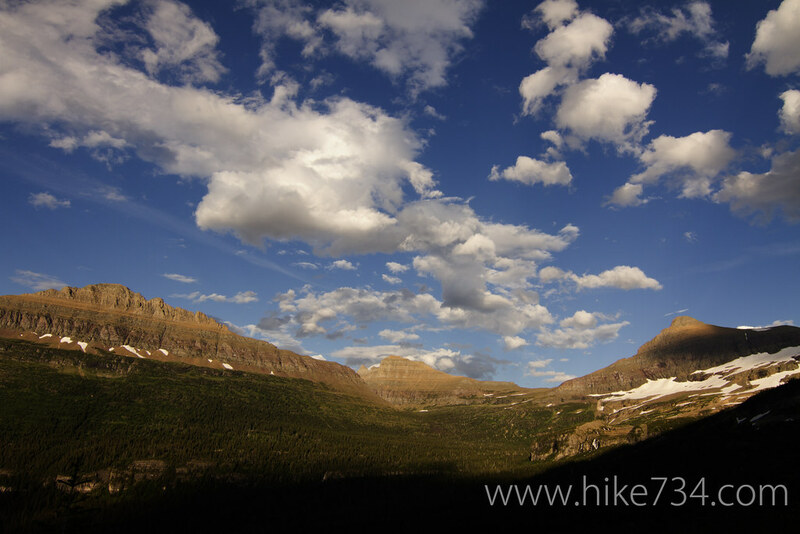 From there, you’ll start climbing up into the Gunsight Lake basin and the views start really opening up with views up to Blackfoot and Jackson Glaciers which used to be one big glacier simply known as Blackfoot Glacier. Things level off a bit and you come into Gunsight Lake Campground. This year, 2011, experienced above average spring snowfall which set the stage for enormous avalanches. One such avalanche tore down the mountain with great force causing the trail to be rerouted and the bridge to require repairs. Despite the destruction, the campground is still there and it is an incredible spot. 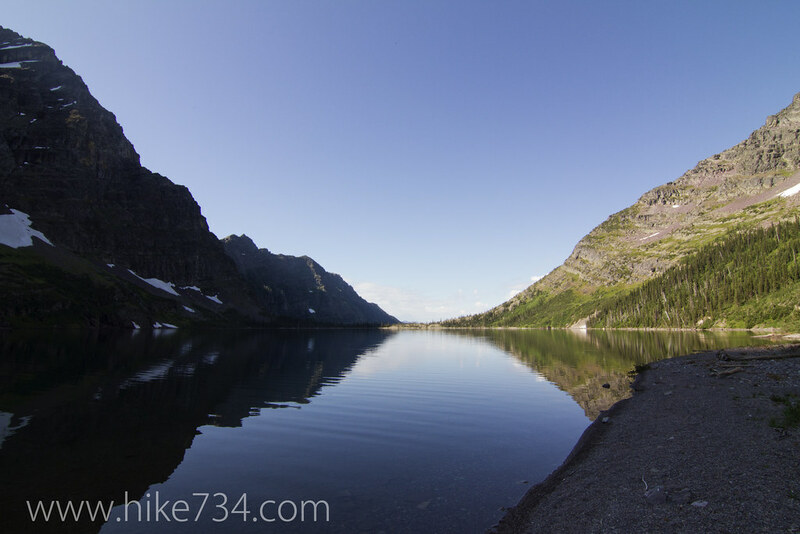 You are camped at the foot of a gorgeous alpine lake with Gunsight Mountain to the north and Mount Jackson to the south creating formidable walls around the lake and coming together at Gunsight Pass. 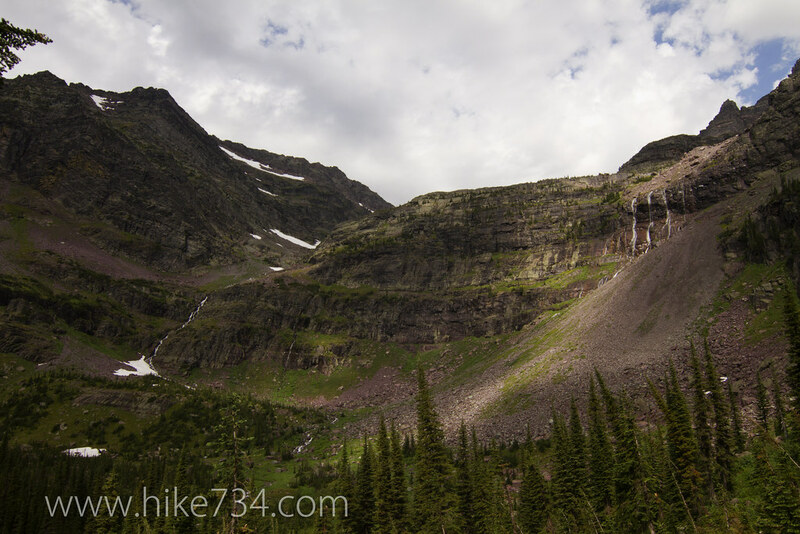 Right after you cross over the creek coming out of Gunsight Lake, you can take the spur trail to the left and head up below Jackson Glacier. This trail is extremely steep at the beginning and not passable with livestock. It puts you in the meadows below the Glacier and gives you fantastic views into a basin harboring Citadel, Almost-a-Dog and Logan mountains. Back at the junction, you’ll take the more popular route up and over Gunsight Pass. At the pass, you’ll find yourself perched on the Continental Divide and at the site of an old Shelter Cabin that you can go into to get out of the elements and have a bite to eat. Outside, you’ll see Gunsight Lake where you just came from looking out to the St. Mary Valley and toward the west, you’ll see Lake Ellen Wilson. Many switchbacks later, you’ll find yourself at the base of a waterfall. The winter’s snowpack and the time of year will determine if you’ll be able to hop across rocks or if you’ll have to get wet. 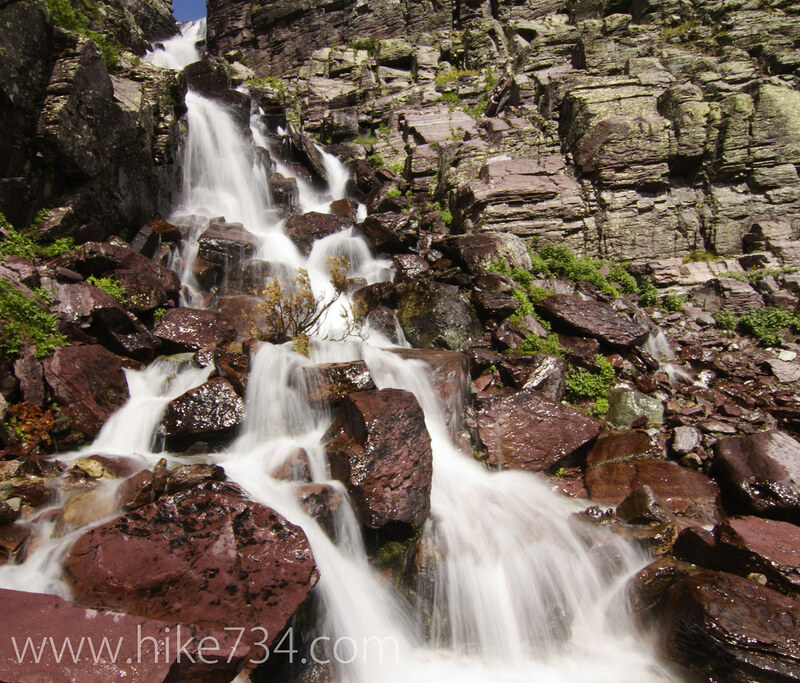 This waterfall drains into Lake Ellen Wilson (named after President Woodrow Wilson’s wife) which is another beautiful alpine lake with an incredible campsite. From here, you work your way around the shoulder of Gunsight Mountain into the next valley, passing mountain goats along the way and arriving in the basin that is home to Sperry Chalet. Sperry Chalet is one of two backcountry chalets that hail back to the era of the Great Northern Railroad. This chalet has a dining hall where you can get breakfast, lunch and dinner. Breakfast and dinner require a reservation. The hotel there is more rustic than you’re used to, but much more comfy than a tent. You can check out the Sperry Glacier site for more info on reservations. 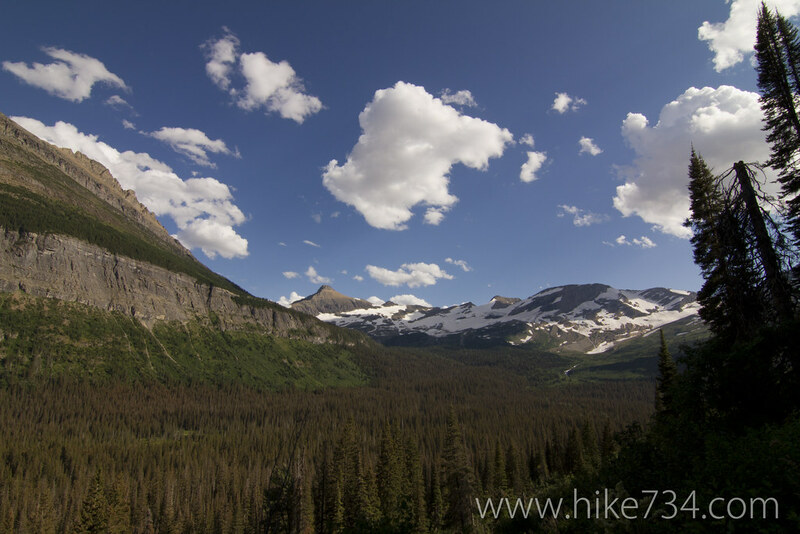 From there you can head on up to Comeau Pass on your way to Sperry Glacier and pass waterfalls, alpine lakes, huge boulders and wildflowers. In order to actually cross over Comeau Pass, you must go up a steep staircase hewn from the rock with a cable handrail. Once on top, you walk across big snowfields to get to the Sperry Glacier Overlook and are rewarded with its blue ice and crevasses and incredible views out to the west. The trail back down from Sperry Chalet spends about a half mile with views, then gets swallowed up by trees and takes a lot longer than you remembered, but that’s the price you pay for everything else that exceeds your expectations. I love this hike and can’t wait to do it again this year. So glad for two nights at Sperry and then out over Gunsight. I did not know the name of that pond was Mirror! Great job Jake on a huge day!! You’re going to have such a GREAT time up there! I would have spent more time up at Sperry Glacier if I hadn’t started at Lake Ellen Wilson. This video covers my favorite Glacier hike and my least favorite Glacier hike. My son (12 at the time) and I started at Jackson Glacier Overlook and hiked to Sperry Chalet where we met my wife and daughters, who had ridden the horses up from Lake McDonald (they all hated that ride). 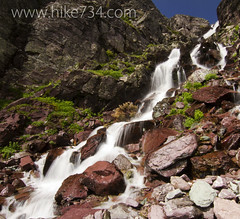 The waterfalls on the way to Gunsight Lake, the mountain goats at Gunsight Pass, and Lake Ellen Wilson- all breathtaking. After spending the night at the chalet, my son and I hiked to Sperry Glacier just as you described and then down to Lake McDonald. The 2 days was about 27 miles (does that sound right?). The hike down to Lake McDonald is dull, as you described, but fast. But on two occasions, we have hiked that trail up to stay at Sperry Chalet. In that direction, it is not only dull, but backbreaking. I highly recommend anyone who is going to stay at Sperry Chalet to make the trip in the opposite direction as you did! A night at Sperry now costs almost $100 per person but everyone should do it once. Reservatuions must be made 10 months in advance. 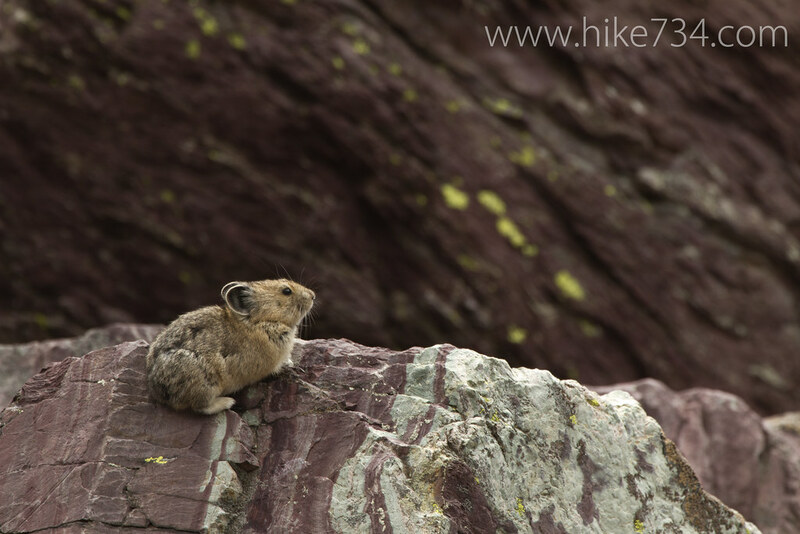 Thanks for bringing back some more great memories and I’m thrilled to see there are still pikas at Sperry- I couldn’t find any in 2009. I just posted some bad information. Sperry reservations for 2012 are $185 for the first person and $130 for each additional person per room plus 7% Montana tax!!! That includes 3 meals. I think when we stayed there in 1979 it was $35 per person and I thought that was outrageous. Another sign I’m gettinmg older (and poorer). What do you do for a shuttle after Labor Day? Are there private companies? 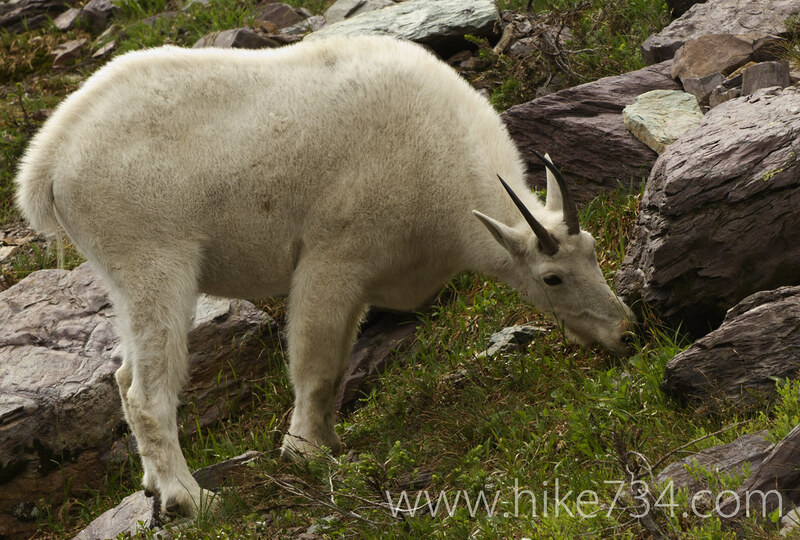 My son and I are hiking from Jackson Glacier Overlook via Gunsight Pass to Lake McDonald beginning on 9/11/15 with 2 nights on the trail. My apologies for not getting back to you as I was out on the trail. Did you end up doing the hike? If so, did you hitchhike? I’ve been reading your posts and watching your YouTube videos, thank you for the valuable resources you’ve created, Jake. 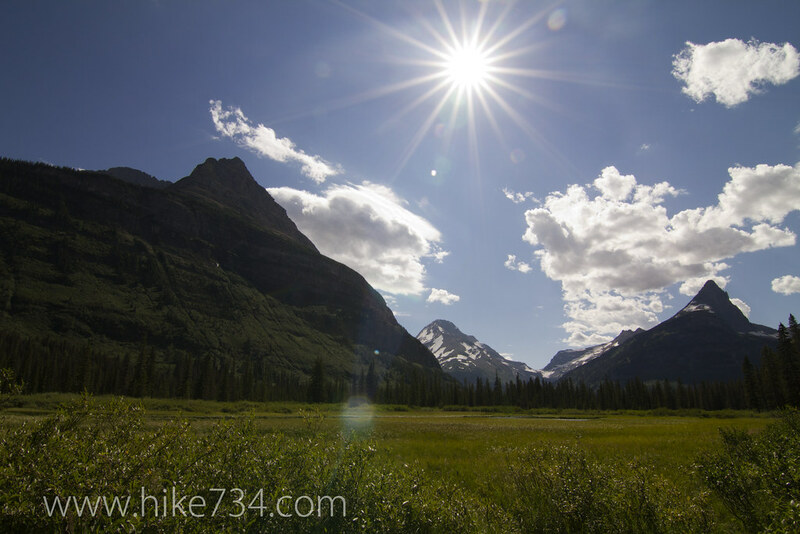 My girlfriend and I are planning a trip to Glacier in mid August 2016, and it’ll be our first backcountry camping experience. We plan to take the shuttle from Lake McDonald and begin at Jackson, just as you did, camp at Reynolds Creek, Gunsight Lake, Ellen Wilson, and Sperry, and ending at Lake McDonald. My main concern is securing a permit, can you share any insight as to how difficult I should expect it to be? Or when is the best time to apply or any other strategies that might be helpful? Thank you, my friend. Why are you saying that you can’t camp at Reynolds Creek? There appear to be backcountry permits listed for that location. ?? Thanks for any information you can provide. 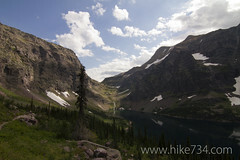 Last year we had planned a trip to Glacier to do some backpacking. Our permit was from Sperry to LEW, basically an out and back, not what we wanted but we couldn’t figure out how to get around the shuttle issue. However, we ended up cancelling the trip due to the wildfires. 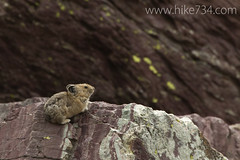 I’ve tried looking for outdoor clubs around the park, calling some local guide services but have had no luck. There really aren’t any “official” options at that time that I know of. There is always the option of hitchhiking. I’ve had pretty good luck of doing it in national parks and September still is bustling plenty. You may want to park at Lake McDonald and hitchhike in the morning when people are heading up to Logan Pass so that you have more options of finding a do-gooder and you also won’t have to worry about it while you’re out there in the woods. It’s totally a judgement call based upon your own comfort level, but it’s an option. 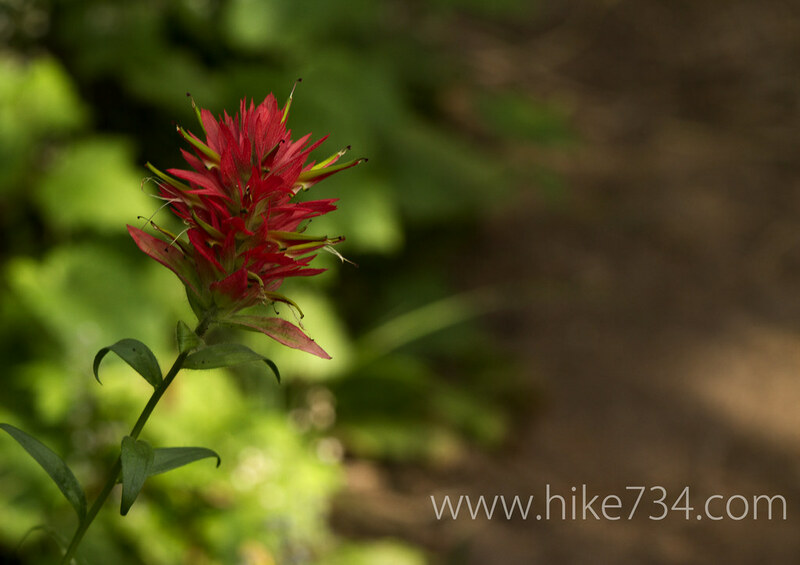 Wonderful information about the hike– thank you. I also really appreciate all the trail videos (I found them through a YouTube search). 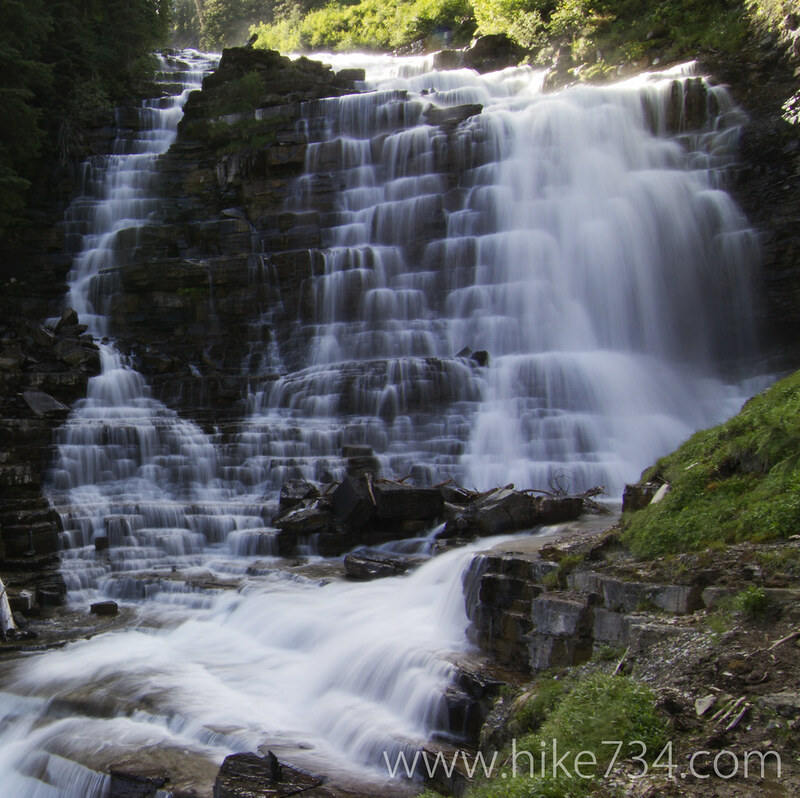 Will you, please, if known, share the approximate length and duration (in miles and hours) of the Gunsight Pass hike as you detailed above (including the side trips to Florence Falls and Sperry Glacier but without the ascent to Jackson Glacier)? Is it possible to complete the hike between dawn and dusk? Or is it wiser to attempt it over two days with an overnight backcountry camping stop? Thanks again. You’re doing the Lord’s work. I have a similar question regarding the Gunsught Pass Trail. 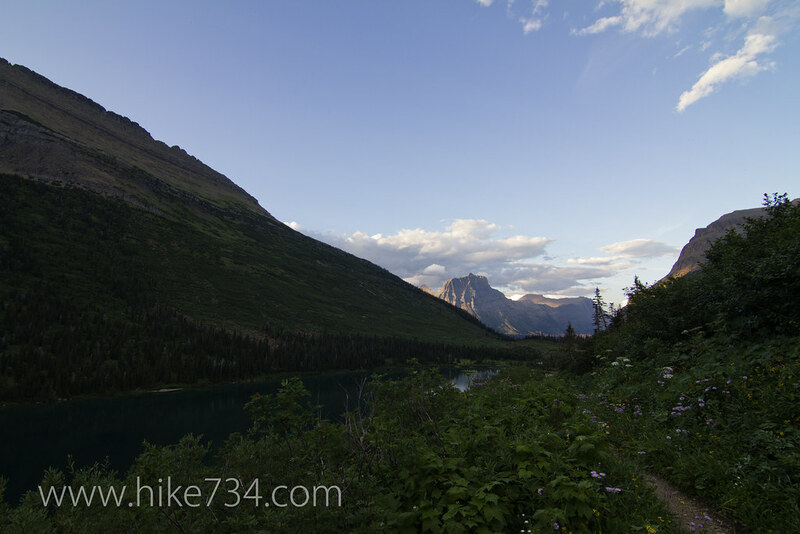 I was unable to get a spot at Sperry Chalet so I want to day hike the Gunsight Pass trail to Lake McDonald…without any side trips. My question is how early can you get the shuttle at Lake McDonald. From what I researched, the shuttle doesn’t start running until 9:00 unless you take the express from Apgar at 7:00…but then how would you get from Lake McDonald to Apgar if you miss the 7:00 p.m. Shuttle? I like to start hiking early, especially if it will be a 20 miler. That would take at least 12 hours for me counting rest stops, picture taking, etc and starting at 9:00 or after would not be good since that means finishing around 9:00 or 10:00 p.m. I am okay doing a 20 mile hike in a day but would rather start as early as possible. What is the earliest we could start if we use the shuttle system? 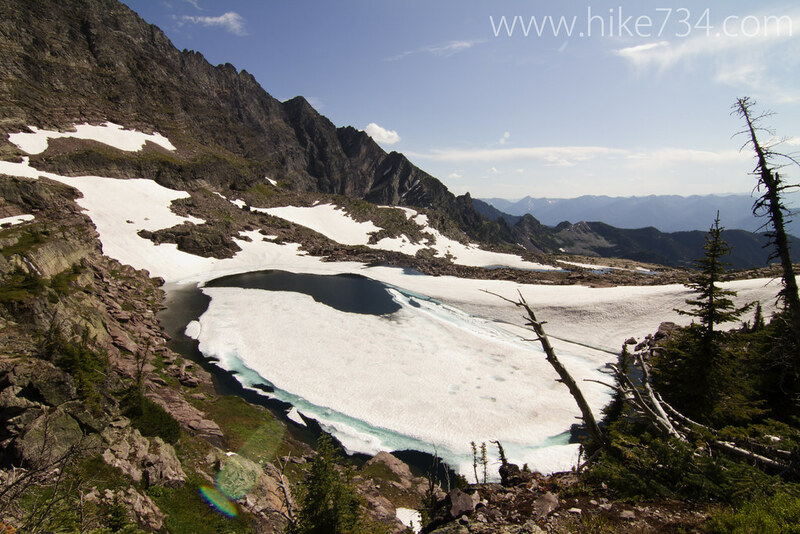 If we decide not to do the 20 miles in one day, would you recommended the Sperry Trail to Sperry Chalet or the Gunaight Pass Trail to Florence Fals or possibly to Gunsight Lake and back? That is truly a bugger with the shuttle. If you miss the shuttle, you can always hitchhike which isn’t terrible from Lake McDonald Lodge… especially since people are heading out in the evening and they won’t have to go out of their way. You won’t be stuck. I would probably take the express shuttle and keep an eye out on the time. Make sure you show up before 7am as the line starts forming early. 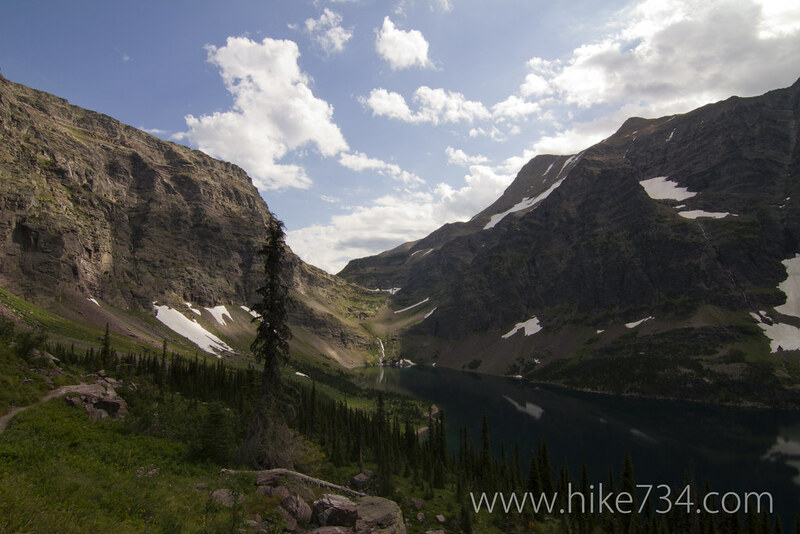 If you want to do an out and back, I wouldn’t do Sperry as most of your day will be in the trees whereas the hike up to Gunsight Lake is pretty much sooner and much longer. The lake is breathtaking. Thanks for the suggestions! All of your information is so helpful! I know it will be a long hike but I think I can do it with enough snacks and rest breaks. I did 19.5 a few years ago in Grand Teton NP…I don’t remember the elevation gain. As it turns out, a friend from work will be there during the same time so she may be able to meet us at Lake McDonald and take us back to our car. Planning to get in a few hikes in NC before we go so we can get our legs in hiking condition. I bought your map and love it! Thanks for all of the awesome info! Definitely have a backup plan. The snowfields just before you get to the pass can be super sketchy… with bad consequences. I’ve not been up there, but the burn has apparently opened up things nicely. As far as other point to points on the west side, I’m coming up short right now. Most will be out and backs. I would think about hiking to Bowman Head the first night, then up to Hole-in-the-Wall or Brown Pass the second night and explore that area, then haul out on the third night. Any other recommendations that I love would probably be more on the east side. Doing this trip in early September and this was extremely helpful to add in little tidbits to each day from what we had already on our daily itinerary! Doing 3 nights (GS, EW, and Sperry) so the last day we’re going short in order to make it up and over Comeau. Thanks for your info and video! My friends and I will be visiting Glacier for the first time. 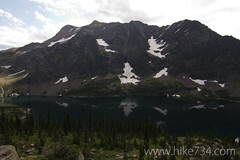 We want to hike Jackson Glacier Overlook to Sperry to Lake McDonald you recommend (below). We will be visiting Glacier in late June. I assume there will be snow covering Gunsight Pass? Then the question is the snow coverage hazardous? None of us use crampons or ice axes. The snow coverage is very hazardous there. I wouldn’t do it… especially if you don’t have ice axe and crampons (and no experience with them). There are two snowfields with super sketchy runoffs. Steep angles and the snow is persistent fairly late. Definitely a July trip.